I am not sure the design community - so vibrant in place like NYC - realizes what a culture shock it is for those of us outside the city to come in for a visit. I live about 2-3 hours away (maybe 5 depending on traffic) and get to the city maybe twice a year. Yesterday was one of those days and it is the little things that catch me off guard - things like the shoes the wait staff was wearing at the little place we had brunch, or the window displays, or the food options, or how dressed up people get to walk their dogs, or even how dressed up the dogs are! Definite culture shock. In any case I went to the Big Apple for exciting reasons. 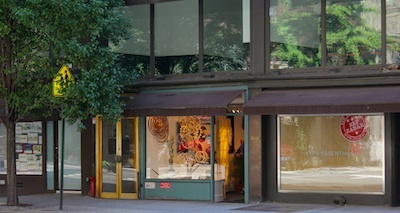 I was accompanying my husband David as he delivered one of his kinetic sculptures to a gallery on Madison Avenue for display in the front window. If you haven't already checked out his website you should at Wood That Works. 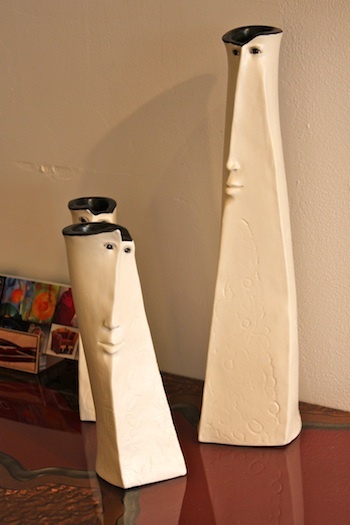 The gallery is An American Craftsman and they have been selling David's work for nearly 20 years. 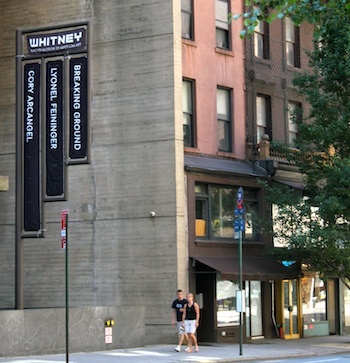 They happened on a lease for a short term gallery space on Madison Ave. right next to the Whitney Museum of American Art. Great Spot! 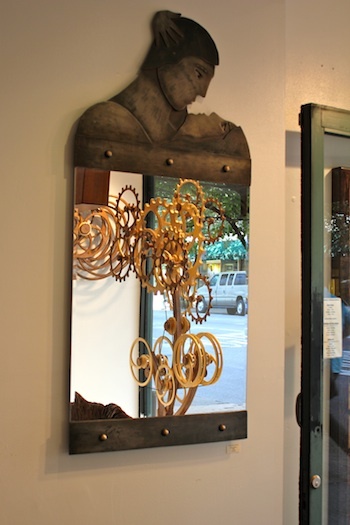 The gallery showcase fine American craft and includes beautiful work in wood, glass, metal and ceramics. And some exceptional kinetic sculptures as well! If you are in the city between now and the New Year you should check them out at 940 Madison Ave right above 74th Street. They also have 2 other NYC locations plus locations in Stockbridge, MA and Savannah, GA as well. Just an everyday lady, married to a wonderful guy, with two grown daughters and a growing number of grandchildren. My approach is one of living creatively whether in crafting, cooking, organizing or problem solving. This blog is to share with you the individual and unique solutions I implement in every day life. Hopefully, you'll find an idea that will lead to an inspiring solution in your life as well. Enjoy and thanks for visiting. Tutorials for paper cutting files are here. I also am my husband David's business partner. He is a talented kinetic sculptor. His work can be viewed at the Wood That Works website. 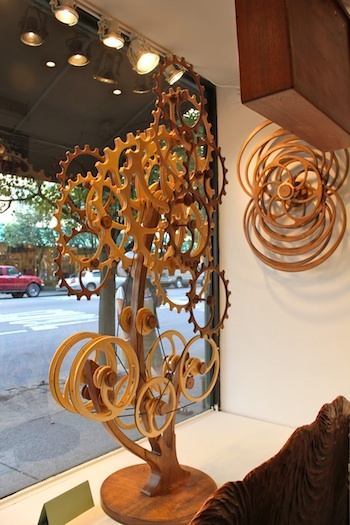 I also contribute regularly to his blog, Exploring Kinetic Art with David & Marji. Cement Balls Rolled into Place! Staining the House- After 32 Years! Wheels in the House? - Oh Yeah! Theme images by claylib. Powered by Blogger.